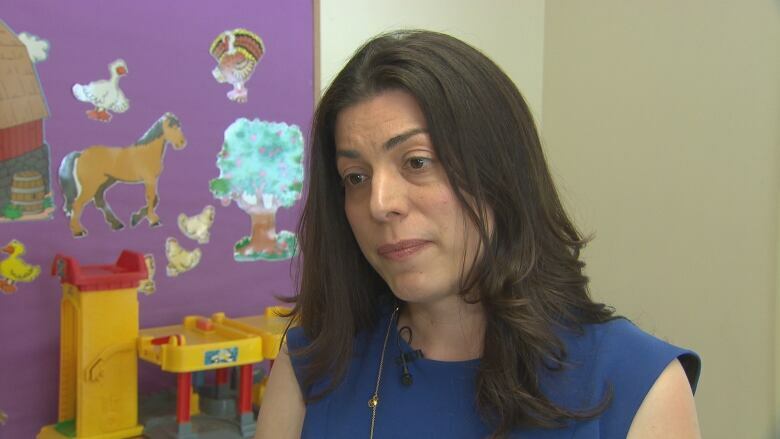 Some Ontario parents whose children have autism are scrambling to pay for intensive therapy now that the province has made changes to program eligibility, says the executive director of a private service provider. Nancy Marchese, executive director of Breakthrough Autism, a Richmond Hill, Ont. private service provider that offers Intensive Behavioural Intervention (IBI), says the program costs roughly $50,000 a year. The province has offered a one-time payment of $8,000 to families of children with autism aged five and older to help them cover costs until a new program is rolled out in 2018. "We have families who are going to sell their homes," Marchese said. "And not all of the families are in that position, so the ones who have nothing, they're going to get nothing. And that's awful. And the ones who have the little that they have, they are going to lose all of that because this is their child. They will do whatever it takes to get their child into the treatment that they need." The Ontario government has decided to stop funding a specific kind of autism therapy for children aged five and older as it works out the details of a new program. The changes have upset hundreds of parents of autistic children across the province. Marchese said the decision by the Ontario government is short-sighted. "There will be long term ramifications if this policy decision is not reversed," she said. "These kids will grow up without the fundamental skills that they need to be independent and empowered in life. It will have an impact on them, it will have an impact on their families and there will be high financial costs to everyone in Ontario because it will have an impact on the system too." She said there will costs later if treatment is not provided to children now. "It's pay now or pay later." Marchese, who opened the centre five years ago, said the program changes the lives of the children and their families. It offers therapy to about 40 children, aged under two to 16 years. Every child gets individual treatment that is tailor-made to their needs. Their master plans are kept in large binders. "We serve kids based on needs, not age. If the child has a significant amount of needs, then they need a lot of hours of service. It has nothing to do with age, it has to do with their needs. The kids who need it, need intensive hours,"
"All the research shows they need multiple opportunities every day to practise what they have learned." In April, the Liberal government announced a new Ontario Autism Program with $333 million in funding, but changes include limiting IBI to children between two and four. The new program is set to roll out in 2018. Under the new policy, families with children five and older on the IBI wait list will get $8,000 to pay for treatment as they are cut off the wait list. Hundreds of children have been taken off the wait list because of their age. Melissa Bottoni, a clinical lead instructor at Breakthrough Autism, said the provincial government is failing to recognize that clients have different needs. It has taken a one size fits all approach to the problem, she said. "It's going to have a huge impact on those kids' lives. A lot of the families are devastated by the news that they are not going to eligible based on age. In my opinion, it needs to be an individualized decision. If a client needs intensive therapy, then that's what they should get. I definitely think it should be individualized based on what that child needs." Bottoni said the program is designed to lead to improvements at home and school. "For all of our kids, if they can make progress with us, that's great. But it's also so important they are able to demonstrate the skills they learn with us, at home, and at school, and out in the real world because they are not going to be here forever." She said if children get provincial funding, they might schedule 20 to 25 hours a week. "A lot of it does depend on what the parents can afford. It's a really expensive treatment. Some parents just do what they can as best as they can."